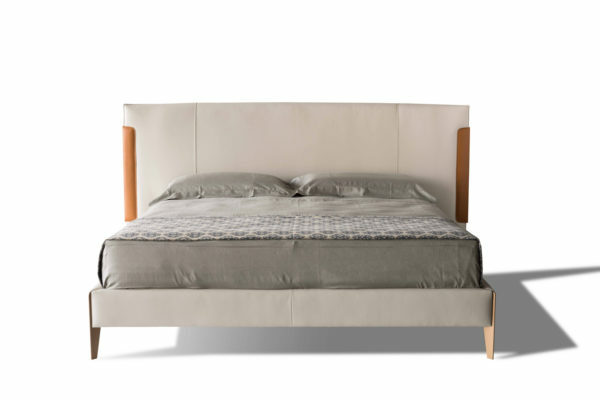 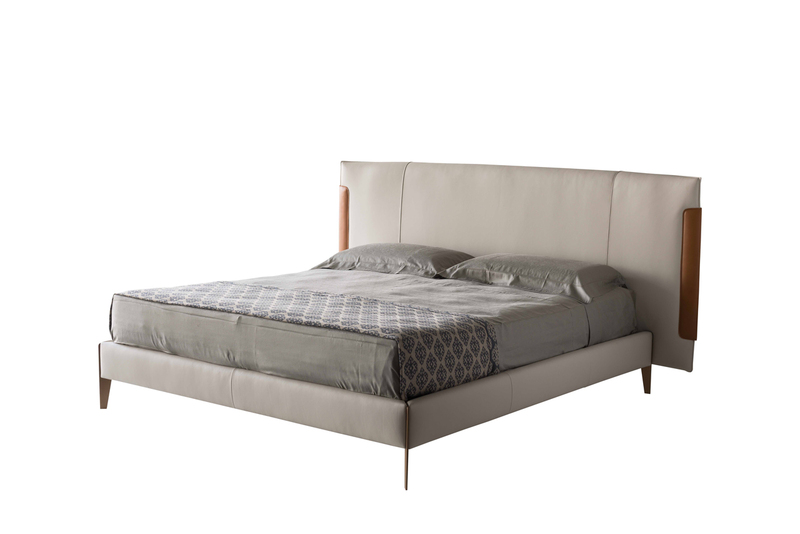 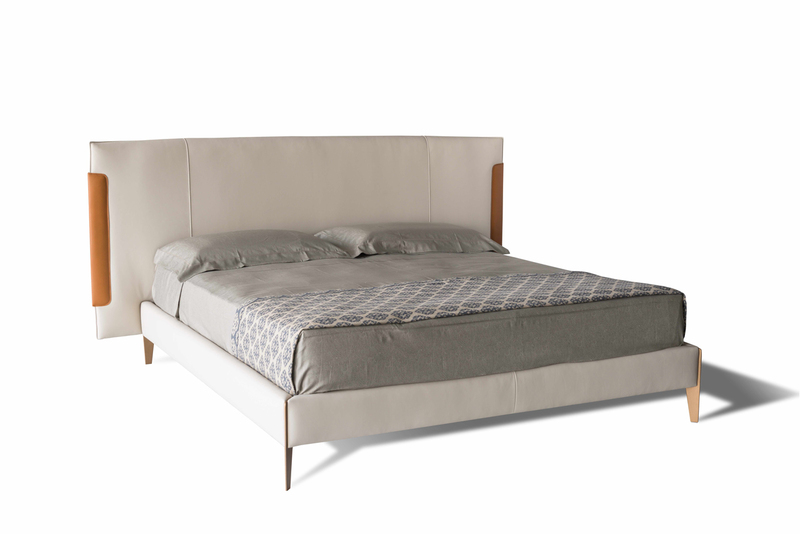 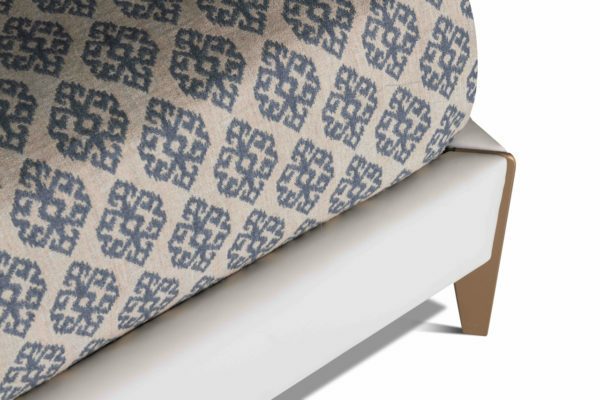 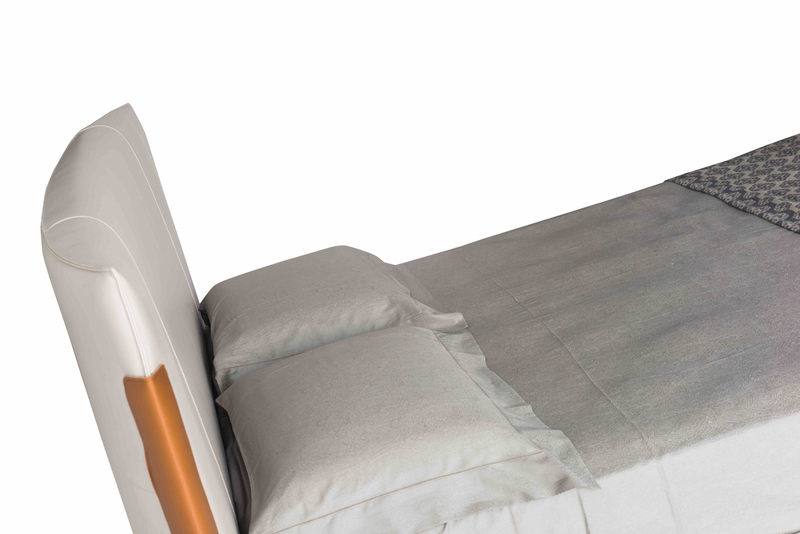 A bed that perfectly express essentiality and carefully chosen materials. 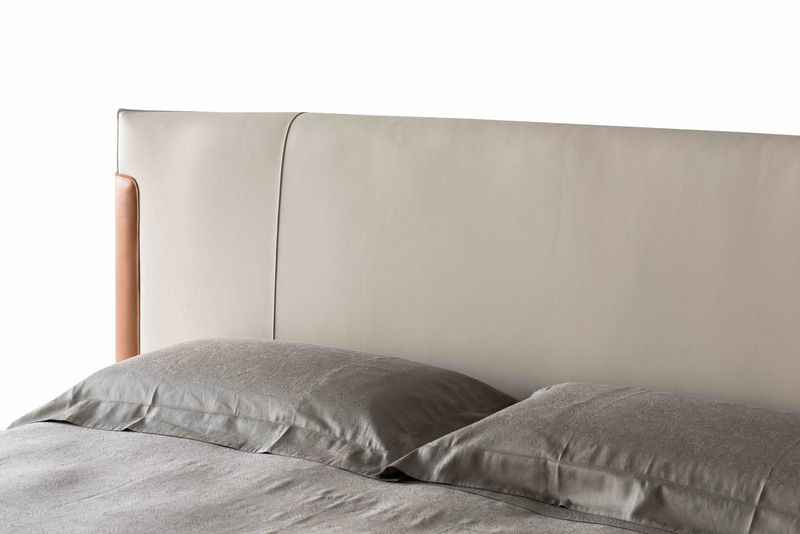 Delicate clean lines for a harmonious balance, which comes out from by reducing anything superfluous. 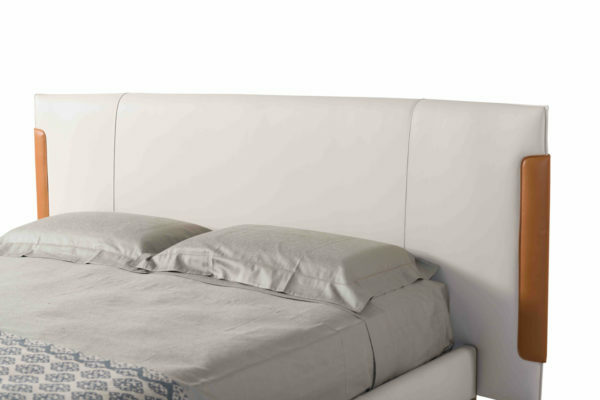 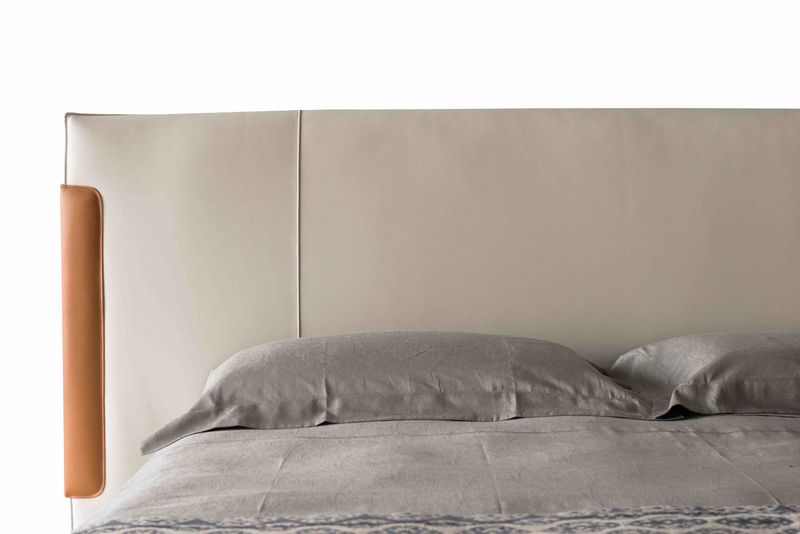 Volumes, which are emphasized due to a particular kind of stitching used for the head board, the capitonè. Feet finished in gold glazed. 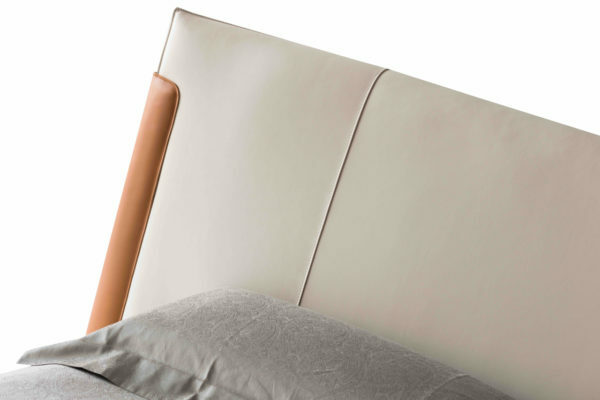 Upholstery that can be completely detachable in the Incanto range. 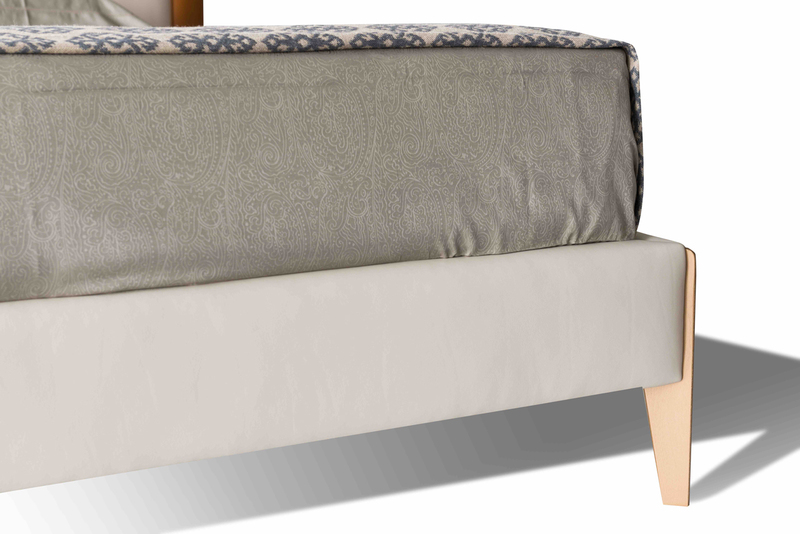 Amore can be matched with an Italo small bench with same frame finishings and mixed upholstery.